The roses revitalize the traditional motifs of maiolica and the Sicilian painted cart, to the rhythm of seductive tropical dances and Mediterranean melodies. 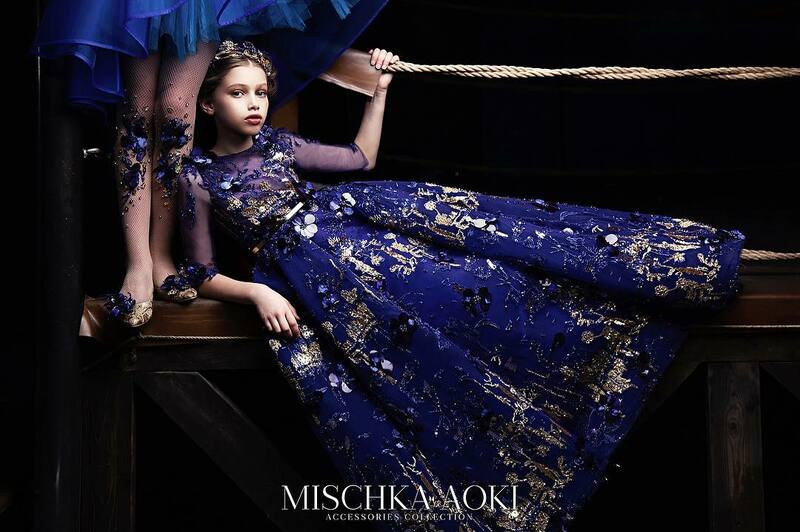 The brightly colored garments are a celebration of irreverent feminity, bursting with life. 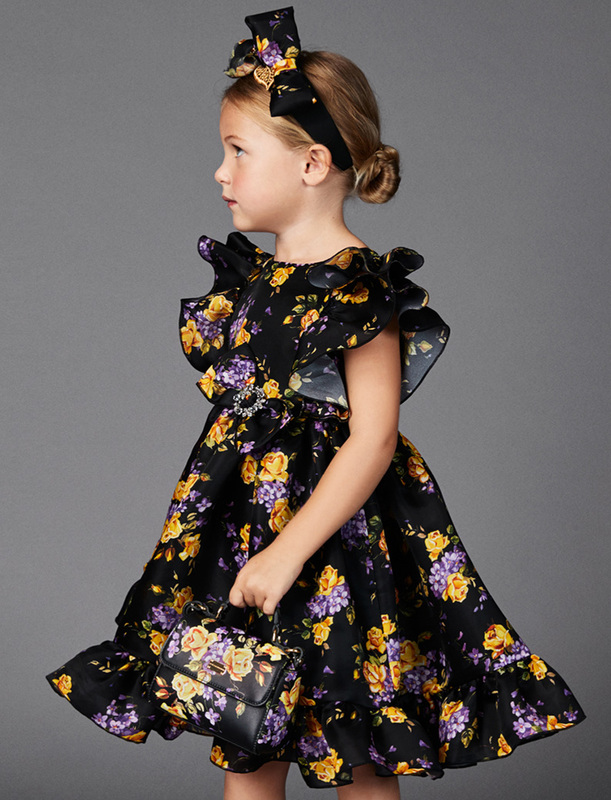 First spotted on the Spring '17 runway, Dolce & Gabbana's silk-blend charmeuse dress is printed with purple and yellow flowers that pop against a black base. 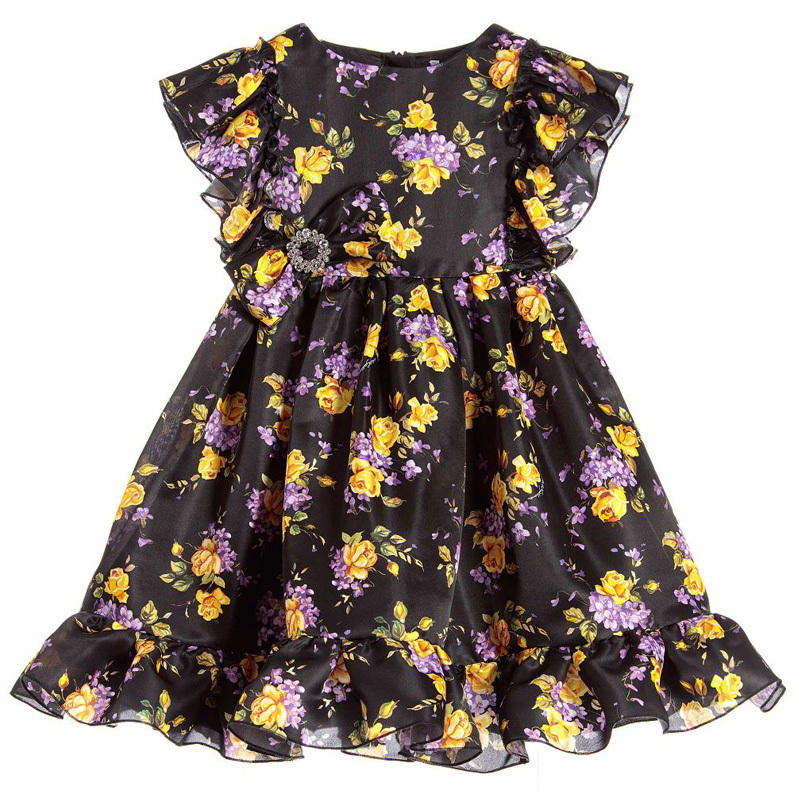 Fully lined in silky viscose, it has ruffles over the shoulders and a bow at the gathered waist, with a diamanté buckle. 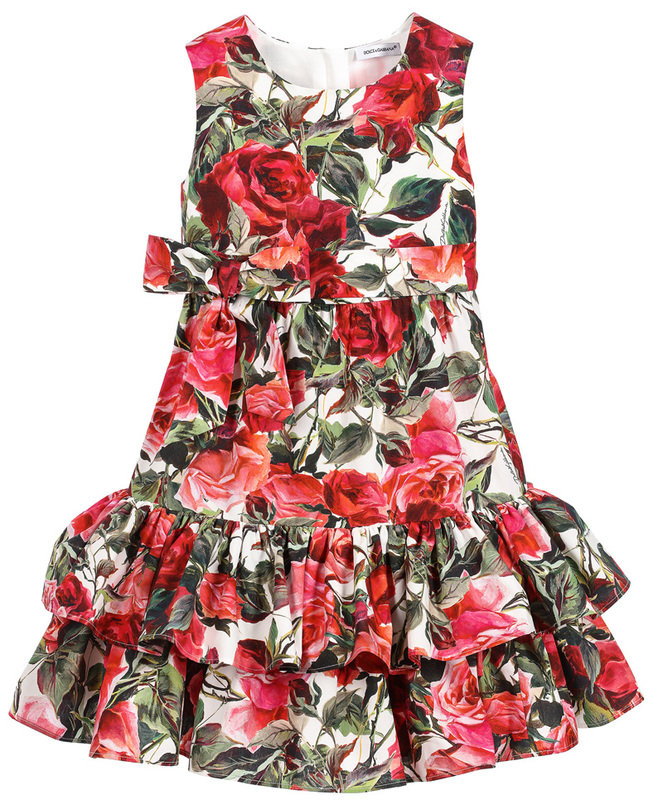 It has a concealed zip fastener and a ruffle around the hem. Girls gorgeous black leather bag by Dolce & Gabbana. 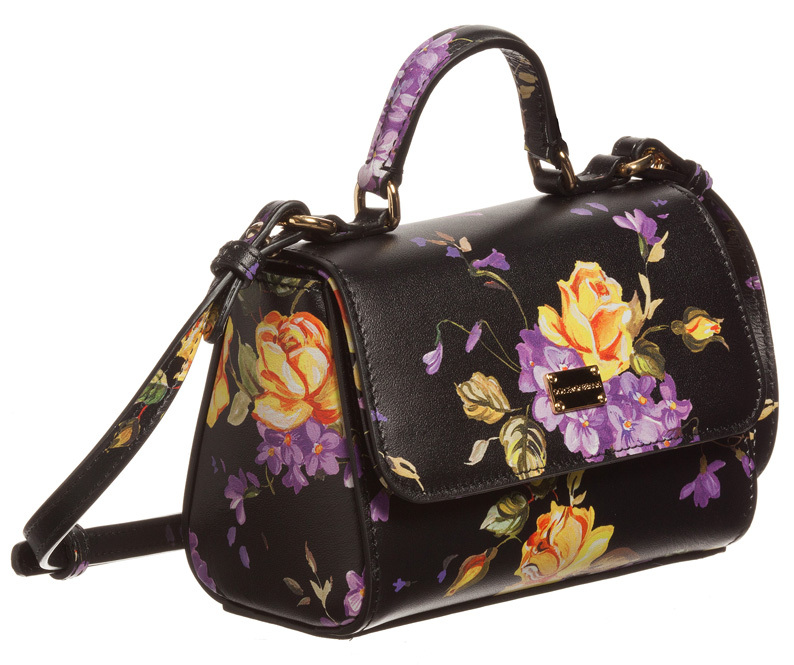 It has a pretty purple and yellow floral pattern with a metallic gold logo on the front. Suitable for carrying small essentials, it has one compartment with magnetic popper fastenings. It has a carry handle, an adjustable shoulder strap and it comes with a fabric bag. 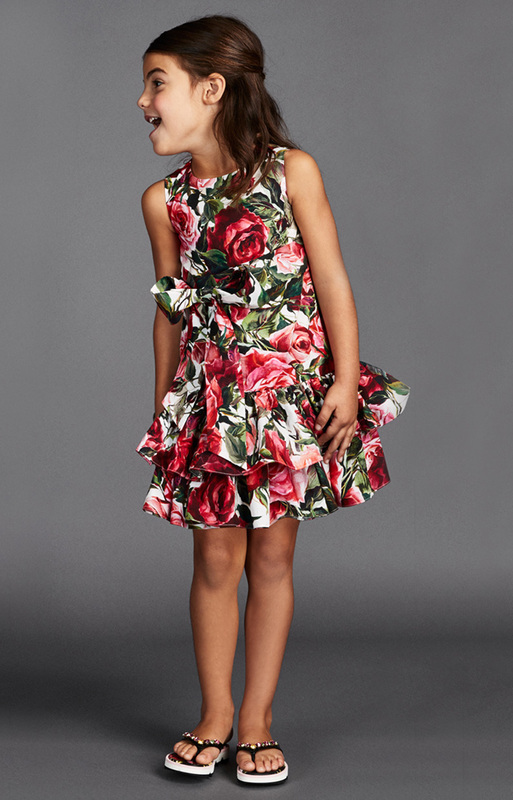 Girls pink, green and ivory dress by Dolce & Gabbana, with a lovely rose print inspired by the adult collection. This gorgeous sleeveless design, is made in a luxuriously smooth cotton, has a fitted bodice and a zip at the back. The waistline is gathered, flowing into a slightly flared skirt, with a layered ruffle hemline adding volume to the dress. 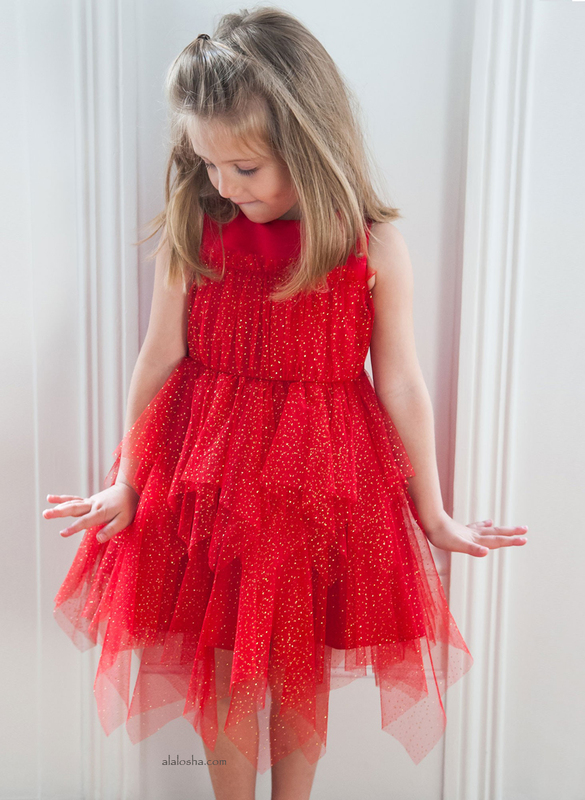 There is a detachable popper fastening sash around the waist, decorated with a detachable bow in the front.